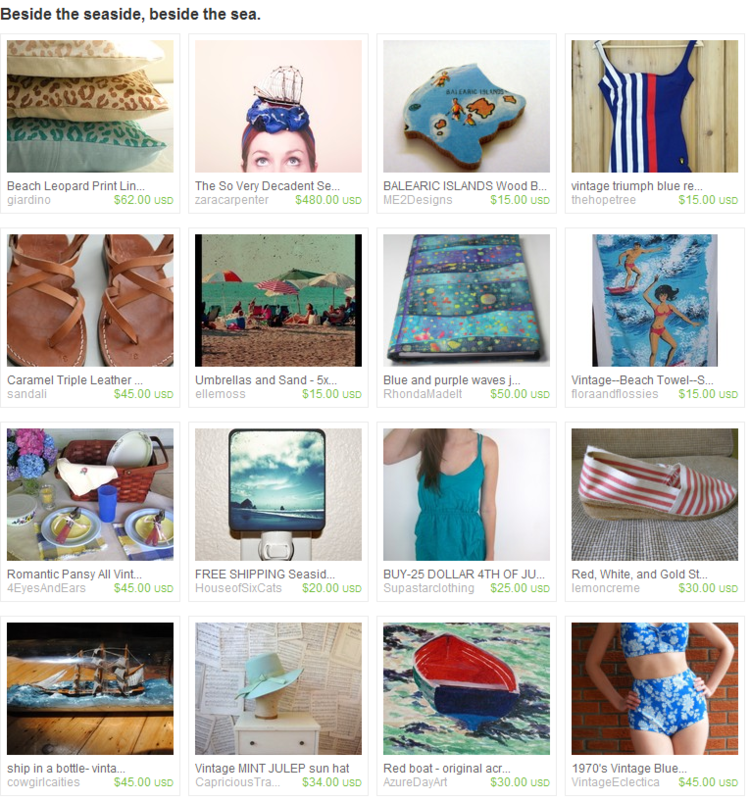 One of my blue and purple waves journal covers was featured in an Etsy Treasury (my 23rd) of seaside-themed items today. The surprising thing is that the fabric has nothing to do with the sea at all — it’s a sort of spotted batik that looks a bit astronomical to me. I free-hand cut the fabric in curvy lines then sewed it back together, giving it a wavy effect.